One of many channels snakes its way through the Delta. It did not take long for the Delta Stewardship Council’s long-debated plan for the Delta to come under legal fire. A petition for a writ of mandate was filed by the Westlands Water District and San Luis and Delta-Mendota Water Authority in Sacramento Superior Court seeking to require the Stewardship Council to revise the plan. The agencies, which represent growers whose farms depend upon Central Valley Project water pumped from the Delta, contended the plan does not achieve co-equal goals mandated by state law. 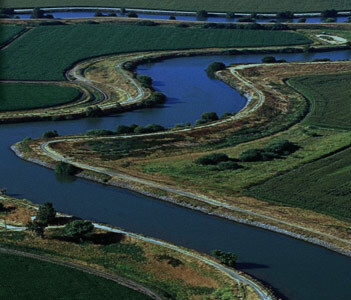 The Stewardship Council was charged with creating a legally enforceable plan that includes policies and regulations to guide state and local agency actions on water use and the Delta environment. The Bay Delta Conservation Plan is among those policies. The Stewardship Council unanimously approved the Delta plan and its programmatic environmental impact report on May 16. A day later, it adopted the plan’s regulations.